No matter how big or small the job, whether its a burst pipes, leaky tap, kitchen and bathroom plumbing through to complete property installations, our team are on hand to assist. We understand the inconvenience and damage that problem plumbing can cause, and provide installations, repairs and maintenance to ensure that your plumbing runs smoothly and efficiently. 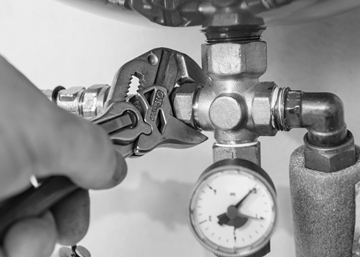 With our qualified plumbers we have the skill and the expertise to tackle all commercial and domestic plumbing requirements, with care, using the highest-quality materials and scrupulous attention to detail that good plumbing requires. For more information about our plumbingÂ services in Essex, please have a look at our FAQ page, or give us a call on 01702 619698, we would be happy to answer any queries.